Earlier, we informed you about the release dates of the Air Jordan 9 “Johnny Kilroy” and “Olive” that will be coming out on October 6 and November 17, respectively. Aside from the two impressive colorways, the Air Jordan 9 Retro will also be coming out in a “Cool Grey” edition on December 15 – the first time this colorway will hit the market since the 2002 release of this same colorway. This silhouette features a cool and medium grey suede and patent leather with a white midsole and grey outsole. Make sure to include this one on your list this Holiday Season! 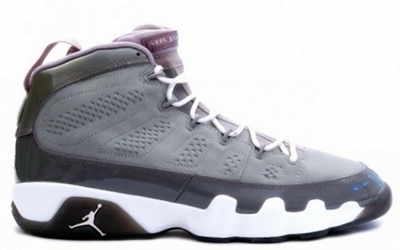 Air Jordan 9 Cool Grey and Olive Set to Return?